Add all ingredients to a medium pot over medium heat. Heat, whisking frequently, until the chocolate chips have melted and the hot chocolate is smooth. Do not allow the hot chocolate to boil. Serve warm with whipped cream or marshmallows and enjoy! 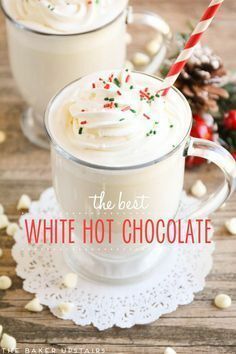 0 Response to "WHITE HOT CHOCOLATE "